Bok choy is an excellent source of vitamins A, C, and K. It is also full of antioxidants that help protect against breast, colon, and prostate cancers. 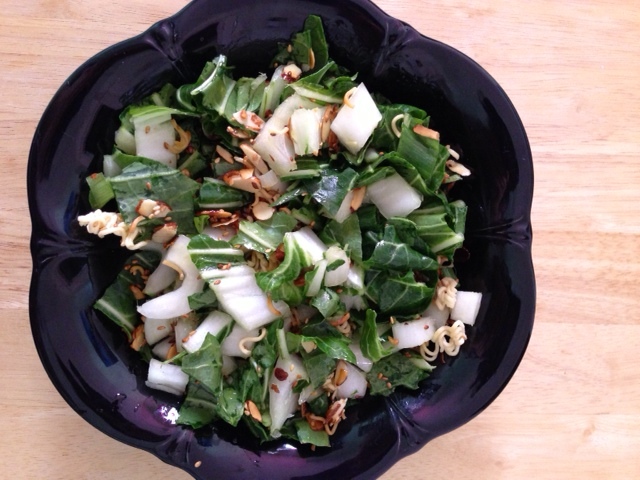 Bok choy can also be considered a “zero or negative” calorie food because 100 grams is only 13 calories. Bok choy is popular among chinese dishes, but can be added to salads, sandwiches, and soups too. This recipe made about 4 salads with salad dressing left over. Cut up washed bok choy (use both the leafy parts and the white stalks) and green onions. In a skillet brown the almonds, sesame seeds, and the crunchy ramen noodles with the butter. Constantly stir it so it doesn’t burn. When it is done browning put it on a plate or a container so it doesn’t keep cooking in the pan. 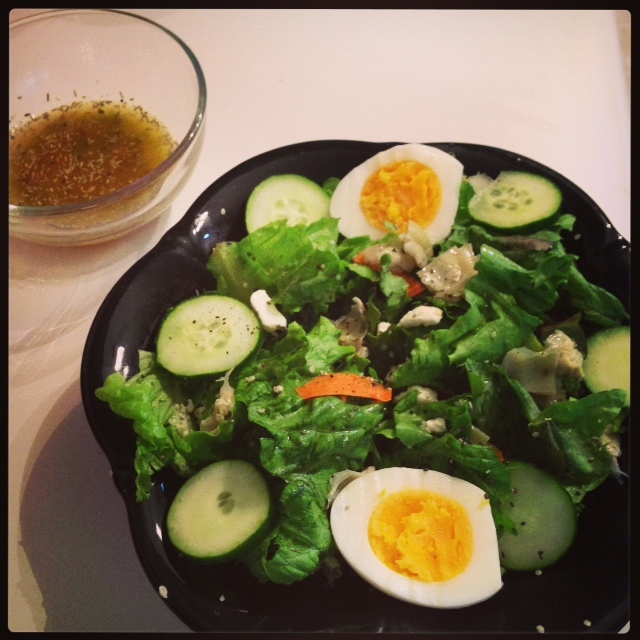 For the salad dressing whisk the rice vinegar, sugar, and soy sauce first so the sugar dissolves. Then add the oil and whisk. The recipe I followed called for 1 cup of sugar, but that sounded like way too much for my taste. Then toss the crunchy topping, bok choy, green onions, and the salad dressing. Total prep time was about 10-15 minutes.